What a fantastic place for winter sports. 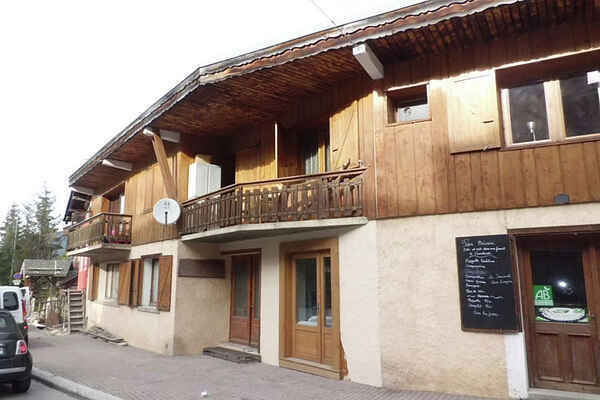 This apartment for four people located in the main street close to restaurants and shops, opposite the ski lifts. You go on the ground in and then walks upstairs. The living room opens onto the balcony on the south-west overlooking the ski slope. In the kitchen you will find include a dishwasher and small oven. Who said you had to work hard in the kitchen holiday? Of course there is a washing machine and a ski locker available for your convenience. Courchevel is a nice base for the slightly advanced skiers because the slopes above the village are generally slightly flatter than in the other villages of the Three Valleys. This also makes it a great area for families. You will find both luxury restaurants for the jet set as normal restaurants where you can dine excellently. "For skiers wishing something different would then skiing there is a choice of a visit to the Olympic ice rink, a helicopter ride, a snowmobile tour or a trip with sled dogs. Of course, the apres ski excellent. Let the liquor come!